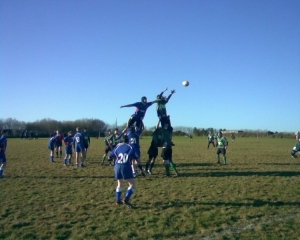 This was the 3rd meeting between these two young colts sides with the spoils of the two previous encounters having been shared. Argaum started slowly and were guilty of allowing the ball to bounce on the hard surface which led directly to two home tries, both of which were converted. Argaum Colts won their opening Merit Table encounter on Saturday with a decent display against an equally young Totnes side. With Teignmouth unavailable to play last Saturday and no trial games there was bound to be some early season rust but once into their stride both teams contributed to a competitive match. This was a hard fought and often tense Fisherman's Cup match at Bickleigh Down where the result was always in the balance. Despite the heavy conditions both sides produced some good rugby and the spirit was excellent throughout. 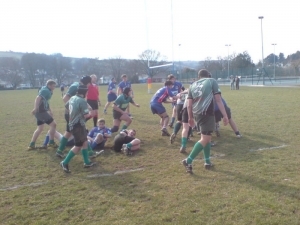 Plymouth Argaum rounded up their season with an emphatic 45-0 win over a spririted Totnes in a club match at Bickleigh Down. Tigers ended an era by winning their last match under that name. At Roborough, Argaum gained yet another decisive victory, the Quins failing to reply to the home total of seven tries and a penalty goal. Bennett was the mainstay of a virile pack and succeeded in adding a penalty goal to his opening try. 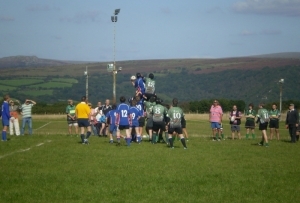 Hughes and Gilbey got two tries each and the remaining scores were made by Timoney and Griffiths.